I'm keen to try an infantry-based list using both White Lions and Swordmasters. I've noticed that many infantry lists use one of these units alongside Phoenix Guard (understandably being possibly the best anvil in the game) but few use both together; although I've seen some MSU lists that do. Has anyone had any success using large blocks of Swordmasters and White Lions or are they just too vulnerable to missile fire etc? My plan was to use a large block of White Lions as my anvil unit, being stubborn, and medium-large unit of swordmasters as an effective hammer. I was thinking to use a level 2 mage with high magic to provide a ward save for the swordmasters, making them a little less easy to kill! I'd be interested to hear any thoughts on how best to use these units together and your experiences with them. The first problem as I see it, is that the Lions pretty much need World Dragon vs shooting and magic. With a High Archmage the Swordmasters have some defence but really they want World Dragon too. The second issue is the problem that Lion/PG lists face, which is that they aren't fast enough to reliably attack with. This favours taking lots of shooting. Such lists are viable but can struggle against other elves for example. I've recently had a couple of games using a 28 man block of swordmasters (without BotWD) and with a high mage, ironcurse icon and magic res 2 in the unit. I found that in the early turns (when the enemy still had a scroll) that it was hard to give them a decent ward boost as the enemy would scroll the major threat spell (in this case fiery convocation) and use their dice for the other spell/spells. In theory if I had gotten off 2 spells and got to a 3++ vs magic, 4++ vs most shooting I'd be pretty safe but this was not reliable. The reality was that I was very exposed to my opponents shooting and magic for the early turns and an irresistible cast of Foot of Gork from my opponent would likely have seen me lose the game turn 1 (this was a low points game). I don't think you can reliably protect them with just a high mage in the unit against ranged fire and magic. You could include an anointed + high mage but it's probably inferior to something like a prince (warded) with a high mage in a PG block. The prince can still give high strength attacks and the PG are decent at handling lower toughness/armor units. More importantly you can get the entire front of the unit a 3++ reliably. But that's the thing, such a unit needs those cheap High Magic casts spammed to get the Shield up. Convocation is just too many dice. This is one reason guys like Seredain switched to PG because they free up the magic to do what it needs to do. sorry for the off topic, but where is the big mr S these days spell archer?? There are pros and cons for both approaches. Fiery can actually help with defense (if you can get it off) as it will tend to kill your opponent's next magic phase when they need 19+ to dispel it. Once the scroll is gone it's not uncommon for the opponent to try and dispel your attempt at fiery and fail (which leaves you free to cast small spells on 1-2 dice if you have any left over). But you often won't be able to get rid of the scroll with anything but fiery so getting to this point without exposing yourself (ward-wise) isn't easy. If you really want to have a L4 with the book spamming small (but not always useful) spells then you could but like you said, the magic isn't really freed up to do what it needs to do. My experience using High and Swordmasters is pretty much the same as Gaz's. The best I've done with them was taking 22 Swordmasters with Razor Banner, FC, Anointed and Lv4 High Mage to a panel Comp Tournament. It did work fine most of the time, but didn't see allot of combat and really felt too expensive for the use I was getting out of it. The main problems I have with Swordmasters and High Magic is that a) they aren't durable enough in combat or against shooting, b) High Magic doesn't support them well in combat, c) because they aren't durable enough, they bleed combat res, d) putting characters in the unit to make them more effective wastes the 2 attacks Swordmasters have on their profile and e) Martial Prowess is a bad fit for Swordmasters. You might be able to do something with Swordmasters and a Lv4 Life, but the only person I know of who's doing that is Ptolemy, who doesn't seem active at the moment. I know its a massive points investment into a lv2 mage but the loremaster of hoeth gives swordmaster all they will ever need to reach and survive in combat. If you combine the right magic setup you will hit yout opponent on 3's with 28+ attacks at str 6 and take 2/3 wounds in return as they need 6's to hit you. and then you get the 5+/5+ saves. Combine this with phoenix guard and they can chew through ANY unit in the game! !Except 1+AS units, which they will defeat but will take 2/3 rounds maybe. I've tried Life in Wildwood Rangers, which are basically budget Swordmasters and it was a little irrelevant because the unit could handle itself against the Demis it was fighting and the magic was needed elsewhere. Even with SM's I feel it's tying your spell power down too much if the unit really needs help. I reckon SM's really need World Dragon because it removes the need to protect them against a lot of very dangerous things like Enchanted Arrows, wounding magic, magical combat troops etc.. Again, this frees up resources for use elsewhere. Seredain has been AWOL for a while. He was down to play at Downfall last weekend but didn't confirm. RL I'd imagine, though he could well be getting games in with his Angel lads. How many spells would a Loremaster be getting off in the crucial turn though? Thanks for the suggestions. I had forgotten that an Anointed gives his unit a 6+ ward. I think I will try one along with a level 2 high mage to try and boost that ward. Hopefully enough will survive to combat. I'm probably going to take a block of about 28 at 3000 points. My first game with the list will be against dwarves this weekend. He doesn't usually play a gunline thankfully. I'm going to bring ranged support in the form of bolt throwers and sisters to take care of gyros as they could be devastating for my swordmasters and white lions! I find Swordmasters to be great as tiny units. 5, 6 or 7 max, in a single rank, hanging off the sides of larger units. Enemy chaff will get slaughtered if they charge them, they generally don't attract magic or missile fire as they are so few points and easily ignored...but let them join a bigger combat with a side charge and they just add masses of kills and combat res. However, in units of any more than one rank I feel White Lions are superior. If you can get over your botwd addiction, SMs can do some interesting things. I'm especially thinking of the razor standard. Once you have that, you're within 17% of lion's damage (assuming t4+) output with a 33% increase in attacks, putting you at a net output advantage. The concern is how to protect the unit. For what it's worth, I don't think that botwd is the panacea that most people do, especially on elite infantry. Your options are magic and tactics. Magically, you can do high, life, and/or loremaster. I had fun with an anointed, lvl 2 high mage, and a lore master. That's a lot of points in characters, but you can get away with less, especially if you can slip MR or ICI or something in as well. Your other option is operational. You want to shoot/magic the swordmasters? Ok, the PG/helms/frosty/dragon are going to get through unmolested. If you go this route, you need to beef up the unit so it can take the punishment and play in such a way that you force the enemy to take risks to grab those points. I realize this forum likes to list hammer, but you really need to think about table top interractions to make something "work." The manner in which you play can compensate for the weaknesses of a unit. Quick thing on direct comparisons: after the lion cloak nerf, there are very few things that it works on that the jedi parry does not. Therefore, lions are only 17% more durable against shooting. Wow! Thanks! As a new High Elf Player (pretty experienced Dwarf player), that post helps me a ton! This. 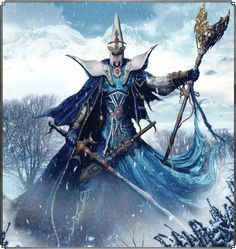 I did pretty well with an infantry list (WL and PG with shadow magic and shooting) but got steam rolled almost every time I played Dark Elves. And Wood Elves. And shooty High Elves. And Lizardmen. And monster mash lists. And Dwarfs gyrospam. And OnG gunlines. It was before the new Woodies & Dwarfs but I can see these being tough. Lizards were ok and I never faced O&G. If you play with an infantry list you HAVE to build everything with that in mind. Which means your magic shooting characters and magic items all should geared towards getting your units into combat. Part of that is also having parts of your army that are threatening enough that your opponent has to deal with them which allows your infantry to get into combat. I've used a 28 man white lion block for some time, and I must say it's getting towards the point where I think it may be facing retirement. Yes, in a lot of cases it's a good unit-man for man against most elites like chaos warriors, executioners, any dwarf infantry, saurus-they do well, often losing many of them number but at least inflicting enough damage back, and even if they are losing they are holding their ground due to stubborn. However in a meta where I see more shooting, more cavalry that will just avoid it, chariots that do more damage than they can take, more magic that will ruin their day (botwd does nothing against hexes/augments or big spells of doom), I'm less of a fan. I don't think they are bad per say, just that to really make them shine with magic and characters it's just too expensive, and in lots of match ups they won't do terribly well. Now if we had a better way to protect them, or they had 2 attacks I might like them more. On swordsmasters, I've never used them in a block, just sometimes 10 deployed 7 front rank, 3 in back and they do alright as flankers. All forums like to list-hammer. This one has traditionally had more tactical discussion than most. So the answer to the drawbacks of a unit is to play better? This only works vs a player you are better than. An even match will exploit any weaknesses in list design we bring. As soon as we add those PG to the SM block we nerf our ability to attack and against the current meta that hurts. This is from much personal experience of playing M5 troops vs faster ones. With SM's as the only block the army can be more aggressive and yes it c can win games without World Dragon. But this banner adds more to the unit than Razor does and opens up more options. Miscast protection, counter to units like Beasts (which otherwise eat infantry), not giving the enemy a juicy spell target, actually being able to advance in the face of things like Organ guns, making characters almost immune to Death snipes. No one is saying it's an auto-win but it's clearly a net gain. All forums like to list-hammer. This one has traditionally had more tactical discussion than most. I would be very interested in a way to actually quantify that and show that it is indeed the case. So the answer to the drawbacks of a unit is to play better? This only works vs a player you are better than. Does that mean it is impossible to play better than a better player once in a while? And if you do win against one, does it mean you did because of what exactly? OP of this topic asked about possibilities to use WL and SM in larger units. I don't have experience in using these but I have found out that if you want any of these units to make into combat in a good shape you need to occupy the enemy with something that may seem more urgent threat. It might be harder to do so if you have only few units in the army as it is easier to anticipate where they are going to be. But it does not mean it cannot be done. Minimizing the impact of the drawback the unit has and maximizing its strengths is the answer. You can do that by playing better. So yes, the answer to the drawbacks is to play better. In particular against better players where you can be sure mistakes will be spotted and exploited. I also feel this site is much better at tackling a specific unit/setup in its entirety than just linking to another persons armylist. One example is this thread where people are discussing how to make it work rather than merely stating why it doesn't. and the general issue almost always comes down to "how is the rest of your army built?" And this is the important part, nothing can be taken in a vacuum, especially with an army such as ours that is so dependent on combined arms. Yes, we tend to drift towards a consensus on stuff but that is basic group instincts and not inherently bad, neither something that can be eliminated. Take the fire/frost phoenix debate, until furion showed how it could do some interesting things with an anointed no one took it as a serious option. Taken on its own it is a very fair and valid point to point at the small points difference between it and its older brother and the amount of extra stuff you get for those points. I still love my fire phoenix, but to include it in my army I know I have to make it live somehow. Enter: a dragon riding prince and a frost phoenix. The same discussion keeps coming up when talking about Swordmasters vs. White Lions. The amount of extra stuff White Lions get for no extra cost is frankly insane. Which makes most people drift towards them as the to-go heavy infantry of choice. I love my swordmasters but are well aware of their somewhat pitiful state at the moment and I think many people here see that as well. What we mainly talk about is how to make them work, not that they should be left out. And that seems to be the crux of the matter. huge blocks of them is detrimental to their 2 attacks and their survivability i.e they draw much more attention on the battlefield(this is somewhat the same issue as a single fire phoenix as your monster) and they already have a weak defense against shooting. Furthermore if you start putting characters in that big unit, for leadership or defense(high magic) you lose out on even more attacks which are the only thing they really have going for them. And all the time you look at White Lions, just above them in the book(which isn't helping), and see how they benefit way more from all those things listed. Huge blocks, stubborn, one attack(this is mostly because they take no loss in having characters in the front rank), better defense against shooting, better strength. All of these things added up make the choice quite easy to make. What people here are arguing for, is the that by taking small units of Swordmasters they survive longer, due to being non-threatening compared to that big unit of White Lions/Phoenix Guards/Silver Helms and even spearmen. Thus allowing them to get in combat and by being small you don't "waste" attacks on having only one from the extra ranks. As a side note it should perhaps be noted that the basic scenarios in the rule book, that most people play by, don't help in this matter at all due to they way victory points are handled. When only destroyed units add to the victory calculation small units/victory points are easier to "catch up to" than bigger just as fragile units. This is probably also a reason for why many people argue 7 Swordmasters and a champion is the smartest/cheapest way of fielding them while retaining points for other choices, elves being expensive and so on, and still get a lot of bang for your buck. TL:DR: Swordmasters as main combat unit is expensive as hell when you look at the unit entry right above them. I post on two other race-specific forums. Neither of them has anything like the tactical discussion here when our blogs were in their prime, under the old book. With respect SM, the mechanics of your army are different, you do not use large blocks. Any infantry unit, no matter how well protected or buffed relies on support from other, mostly non-infantry elements to work properly, this is basic tactical stuff. How does a unit with no saves like Witch Elves survive two seconds? Because the Warlocks, Peg Riders etc are putting instant pressure on. If taking a unit like Swordmasters you have to bring your A-game, even with it's optimal set-up, this is assumed. There's no point to assessing how well it does if played averagely because the strong players with hard lists out there will just blast it's army off the table. Well, two is not "the most" and army blogs we had with the old book were actually in majority focused on army list building anyway However, this is not the main subject of this topic, so just letting you know I am happy to discuss that matter elsewhere if you wish. As to the second part of your post what is the main point? Is it that playing better with Swordmaster/White Lions list is not going to help because better players with stronger lists are going to destroy it anyway? The point about using smaller units of SMs is definitely a good one and I could see how I might have a better chance of getting them into combat that way. However, I'll try a larger unit along with WLs first and see how it works. If I lose badly at least it will have been a learning experience I'll report what happened..
As already mentioned I think it is senseless to discuss the two units in isolation. However I do agree with the lions 3+ against shooting and being stubborn, that they have more uses than swordmasters. But that is not really interesting is it? What is interesting is in what kind of list they perform best. I see many people take white lions per default as their infantry choice, without even considering other options. If you have other tools in your army for high amour (lore of metal, star lance etc.) I think a block of swordmasters with the world banner and a sea helm is a very potent force. The old blogs emerged because early 8th was a real challenge for HE's and a variety of approaches were developed on here. Most were shot through with differing, in-depth tactical discussion. Seredain's was full of it, there was a lot of refining of Brewmaster's approach, anything written by Tethlis for example was backed up by tactical insight. My visits to other race-specific sites have seen interesting tactical discussion but not so in-depth. Because it is only by considering a whole approach to playing an army that specific tactics emerge and by necessity find their place. I am not saying you can't hope to win with SM's/Lions, that would be ridiculous. What I am saying is that the screw is turning on infantry blocks, just as it did at the end of 7th. I strongly believe that one block can be a clear asset and bring very useful things to the table. Maybe a set-up with World Dragon in cavalry could work with a non-WD SM block. But it is telling that even Seredain, the high priest of 'I don't need World Dragon' considers it essential on Swordmasters. I suggest that those who believe in an SM block without World Dragon post up a list with it in. Then we can analyse how it would work tactically and whether or not it would simply be improved by adding the Banner. If nothing else this topic has at least fuelled a bit more debate on this Tactics forum. Earlier today I had a thought that a block of Swordmasters would be better at receiving a charge from the flank/rear due to their extra attacks but then I remembered that White Lions are stubborn. I really love my Swordmasters but in every scenario I can think of White Lions just do it better. Unless we talk about Small units but even then 10 White Lions in the cube formation can potentially do much better due to(again) being stubborn. I think our innate extra rank of support attacks hurt them due to every other unit in our army benefiting from it but not them. Meaning their damage/attack potential is quickly diminished while everything else work just as good in big blocks or small. Yep. Meta has changed. I don't know if the current WL/SM were ever viable. Now I'm positive they are not. WL can probably work in a defensive setting because of BOTWD + Stubborn, but apart from that there are simply too many things in the game currently that simply don't care about M5 Elves. Witchelves are a noteworthy exception but their damage output is through the roof -and- they are core. I don't understand why our book was designed to be so polarized. We are so hugely dependent upon a few, critical elements to work, one of which is magic, and if something doesn't come through (e.g. poor winds/banner of the world dragon gets destroyed) it all falls apart. I would easily trade BOTWD for an inferior version (let's say it didn't work against close combat attacks, for example) for having better troops across the board. Bring back true ASF for example, at least we'd have reliability. The old blogs emerged because early 8th was a real challenge for HE's and a variety of approaches were developed on here. Most were shot through with differing, in-depth tactical discussion. Seredain's was full of it, there was a lot of refining of Brewmaster's approach, anything written by Tethlis for example was backed up by tactical insight. My visits to other race-specific sites have seen interesting tactical discussion but not so in-depth. Yes, these blogs were interesting to read. Pity none of these guys are posting anything close to what it used to be or at all. There are good, in-depth discussions elsewhere too. 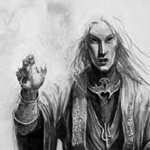 The main question is, however, why is it so important to show that ulthuan.net is so much better? Because it is only by considering a whole approach to playing an army that specific tactics emerge and by necessity find their place. I think you should repeat it more often to many people posting on this forum. Difficult, or even more difficult than it used to be does not equal impossible. Seredain at least tried and provided a lot of insight into what he tried to achieve, how and why in the end he decided to use this particular item. But as you said, it was in the frame of a certain approach. It is possible then, that in order to make something work a new idea is required. I'm keen to try an infantry-based list using both White Lions and Swordmasters. So if you want to help your fellow HE player, help him design the list with these units and share your experience in using them so that he has the best chance, and not just hope, to win.